Enjoying a cup of coffee or tea is something that many people do. In order for more delicious, usually added sweetener into the drink. For now, rock sugar is often used because it is considered more delicious, some even think healthier than sugar. Not just drinks to accompany when relaxed, the use of sugar is also very common in food. Just look at the various snacks and traditional drinks sold on the streets or in tourist objects. Almost all of the typical foods and drinks use sugar to make it delicious. Enjoying drinks and snacks is fun. However, if done every day and excessively, then the effect can be bad for health. 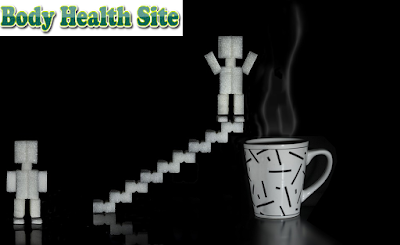 One noteworthy is the surge in weight due to excess sugar intake. If the former body fat or fat body is considered a sign of prosperity, then now it is no longer valid. Overweight and obesity will increase a person's risk of developing type 2 diabetes. In addition to excess weight, other factors also increase the risk of developing type 2 diabetes, including immobile, age, family history, ethnicity, hypertension, and high cholesterol. If a person has been exposed to type 2 diabetes, he or she should commit a lifetime to manage the disease, including limiting carbohydrate intake. Calculating the amount of daily carbohydrate intake is important in diabetics because carbohydrates affect your blood sugar more than other nutrients. Actually, many types of carbohydrates are contained in foods and beverages. Sugar is one of them. Sugar itself is a lot of its kind. The most commonly consumed example is sugar. Along with the improved understanding of society that the use of excess sugar will have a bad effect on the body, then look for other alternatives that are used as a sweetener. One that is considered a solution and considered a healthier and safer society is rock sugar. But in fact, an important factor of sugar safety is how much it is consumed. Whether sugar, rock sugar or any other type of sugar, if consumed excessively then still risks leading someone to overweight and/or obese. Until the end, leads to an increased chance of developing type 2 diabetes. Is It Really Healthier Rock Sugar? To find out whether the rock sugar is more healthy than granulated sugar, then the following facts should be known. The material used to form the rock sugar is a saturated liquid sugar solution. The solution is then crystallized so that it then produces a hard sugar like a rock. So, the sweetener is then we named by the name of rock sugar. Because it comes from the same substance, the nutrient content contained in rock sugar is almost the same as sugar, which is the type of sugar sucrose. In 100 grams of sugar, for example, there are carbohydrates as much as 99.98 grams. While in 100 grams of rock sugar, carbohydrates there are in the amount of 99.70 grams. Looking at a number that is not much different, affirming that the healthier level of rock sugar than sugar in diabetic patients, is still worth questioning. Research shows that both the amount and type of carbohydrates in the diet affect blood sugar levels. Looking at these two facts about sugar and sugar cinnamon above, then the key factor of whether or not the two types of sugar above is the amount consumed. As recommended WHO, the consumption of sugar is safe for the health of the body is a maximum of 50 grams, or equivalent to 4 tablespoons each day. If you want to get additional benefits, then the amount to be limited is half or 25 grams only every day. The problem is that the advice of WHO is very difficult to implement. Just look at the various drinks and snacks presented on the table while accompanying overtime or watching television. Rarely are these drinks and snacks out of sweeteners, whether derived from sugar or sugar cubes. In fact, to accompany these times, there is a healthier way to get a sweet taste from drinks and snacks. When you are anxious to eat sweet foods or drinks, you can try to replace sugar or sugar cinnamon with an artificial sweetener or other low-calorie sweeteners. This type of sweetener, though low in calories and low in carbohydrates, will not reduce the sweetness of drinks or food. For diabetics, low-calorie artificial sweeteners can help in maintaining the stability of blood sugar levels in the body. It is important to remember, in addition to living a healthy lifestyle with a balanced diet, you need to exercise at least 30 minutes per day that is done as much as five times a week to lower your risk of type 2 diabetes. This also applies to diabetics of course with an orderly drug- antidiabetic or insulin medication as directed by the physician. 0 Response to "Apparently, Rock Sugar Is Not More Healthy Than Granulated Sugar "